The seminars focus on practical teaching of the respective technique as well as your questions. Just as important are processes of participants during the seminars, as they show the technique's profound effects and prepare you for possible processes of your own clients. During the seminars the Plant Collective Souls will work with your system through the trainer’s system, so you will receive information and vibrancies. With the comprehensive and coherent script, you will be able to work with your family, friends and clients right away and deepen your knowledge and understanding. Binding registration latest six weeks before the seminar (the sooner, the better...). All prices include taxes and fees, but exclude the necessary Young Living essential oils and gem stones. You will need to bring your own Young Living essential oils to the seminars, so please make sure you register for the seminar(s) early (so you don't have to order the required essential oils all at once). 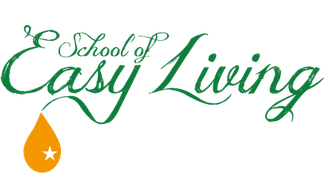 The stated session fees are valid for the School of Easy Living team and are recommended for all offering these techniques. Prices do not include sleeping or food, but maybe we will organize something of good quality (organic, vegetarian is a must to have your energy as high as possible during the seminars and your own processes resulting from the oil anointments). Upon registration, you receive a list with things to bring along to the seminar. The School of Easy Living performs all techniques with Young Living therapeutic grade essential oils exclusively. You need to bring along your own essential oils and - if required - gem stones to the seminar. As this may result in additional cost, the School of Easy Living recommends to register as soon as possible and to acquire the essential oils step by step until the seminar. If you do not yet have access to these wonderful and pure essential oils of highest quality, please contact the School of Easy Living to benefit from the wholesale price by signing up as an independent distributor with Young Living.